The message by Troy Singleterry is a stand alone message called "The Steps of Jesus," and was given Sunday, April 7, 2019. The message by Troy Singleterry is part 4 of the 4-part series, "Re-Charge," and was given Sunday, March 31, 2019. The message by Troy Singleterry is part 3 of the 4-part series, "Re-Charge," and was given Sunday, March 24, 2019. The message by Troy Singleterry is part 2 of the 4-part series, "Re-Charge," and was given Sunday, March 17, 2019. The message by Troy Singleterry is part 1 of the 4-part series, "Re-Charge," and was given Sunday, March 10, 2019. The stand alone message by Bret Allen was given Sunday, February 24, 2019. The message by Troy Singleterry is part 3 of the 3-part series, "Un-Strapped," and was given Sunday, February 17, 2019. The message by Troy Singleterry is part 2 of the 3-part series, "Un-Strapped," and was given Sunday, February 10, 2019. The message by Troy Singleterry is part 1 of the 3-part series, "Un-Strapped," and was given Sunday, February 3, 2019. The message by Wayne Francis is a standalone message on Missions Sunday, "to the Ends of the Earth," and was given Sunday, January 27, 2019. The message by Simon Gounder is a standalone message on Missions Sunday, "to the Ends of the Earth," and was given Sunday, January 20, 2019. The message by Troy Singleterry is part 2 of the 2-part series, "A Year of Expansion," and was given Sunday, January 13, 2019. The message by Troy Singleterry is part 1 of the 2-part series, "A Year of Expansion," and was given Sunday, January 6, 2019. The message by Joel Marple is a stand alone message called "Created in God’s Image," and was given Sunday, December 30, 2018. The message by Troy Singleterry is part 3 of the 3-part series, "The Thrill of Hope," and was given Sunday, December 23, 2018. The message by Troy Singleterry is part 2 of the 3-part series, "The Thrill of Hope," and was given Sunday, December 16, 2018. The message by Troy Singleterry is part 1 of the 3-part series, "The Thrill of Hope," and was given Sunday, December 9, 2018. The message by Stevie Nix is part 4 of the 4-part series, "One," and was given Sunday, November 25, 2018. The message by Troy Singleterry is part 3 of the 4-part series, "One," and was given Sunday, November 18, 2018. The message by Tony Young is part 2 of the 4-part series, "One," and was given Sunday, November 11, 2018. The message by Troy Singleterry is part 1 of the 4-part series, "One," and was given Sunday, November 4, 2018. The message by Troy Singleterry is part 5 of the 5-part series, "5 Solas," and was given Sunday, October 28, 2018. The message by Ed Chapman is part 4 of the 5-part series, "5 Solas," and was given Sunday, October 21, 2018. The message by Troy Singleterry is part 3 of the 5-part series, "5 Solas," and was given Sunday, October 14, 2018. The message by Troy Singleterry is part 2 of the 5-part series, "5 Solas," and was given Sunday, October 7, 2018. The message by Troy Singleterry is part 1 of the 5-part series, "5 Solas," and was given Sunday, September 30, 2018. The message by Troy Singleterry is part 4 of the 4-part series, "Wise Up," and was given Sunday, September 23, 2018. The message by Troy Singleterry is part 3 of the 4-part series, "Wise Up," and was given Sunday, September 16, 2018. The message by Troy Singleterry is part 2 of the 4-part series, "Wise Up," and was given Sunday, September 9, 2018. The message by Troy Singleterry is part 1 of the 4-part series, "Wise Up," and was given Sunday, September 2, 2018. The message by Troy Singleterry is part 3 of the 3-part series, "When Love Speaks," and was given Sunday, August 19, 2018. The message by Troy Singleterry is part 2 of the 3-part series, "When Love Speaks," and was given Sunday, August 12, 2018. The message by Troy Singleterry is part 1 of the 3-part series, "When Love Speaks," and was given Sunday, August 15, 2018. The message by Troy Singleterry is part 4 of the 4-part series, "Hot Topics," and was given Sunday, July 29, 2018. 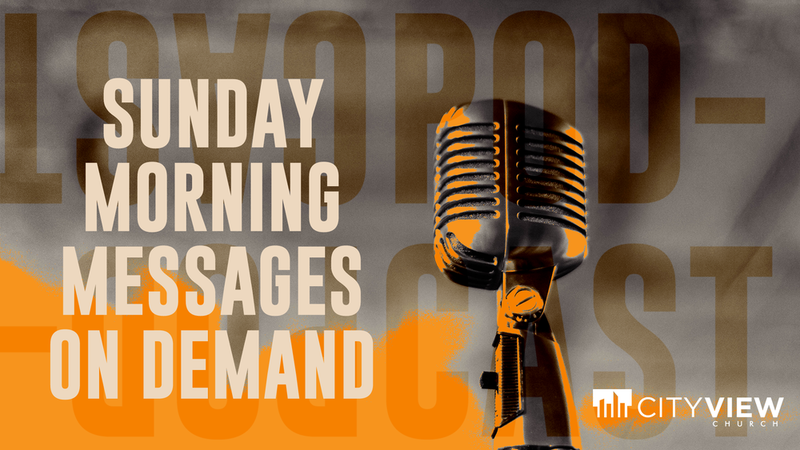 The message by Pastor Tony Young is part 3 of the 4-part series, "Hot Topics," and was given Sunday, July 22, 2018. The message by John Malki is part 2 of the 4-part series, "Hot Topics," and was given Sunday, July 15, 2018. The message by Pastor Troy Singleterry is part 1 of the 4-part series, "Hot Topics," and was given Sunday, July 8, 2018. The message by Pastor Troy Singleterry is a standalone message titled "America, Home of the Brave," and was given Sunday July, 1, 2018. The message by Pastor Troy Singleterry is part 3 of the 3-part series, "Sacred Roots," and was given Sunday, June 24, 2018. The message by Pastor Troy Singleterry is part 2 of the 3-part series, "Sacred Roots," and was given Sunday, June 17, 2018. The message by Pastor Troy Singleterry is part 1 of the 3-part series, "Sacred Roots," and was given Sunday, June 10, 2018. The message by Paster Stevie Nix is a standalone message on Senior Sunday celebrating graduating students and was given on June 3, 2018. The message by Pastor Troy Singleterry is part 4 of the 4-part series, "Keys," and was given Sunday, May 27, 2018. The message by Pastor Tony Young is part 3 of the 4-part series, "Keys," and was given Sunday, May 20, 2018. The message by Nonda Houston is part 2 of the 4-part series, "Keys," and was given Sunday, May 13, 2018. The message by Pastor Troy Singleterry is part 1 of the 4-part series, "Keys," and was given Sunday, May 6, 2018. The message by Pastor Troy Singleterry is part 4 of the 4-part series, "Blueprints," and was given Sunday, April 29, 2018. The message by Pastor Troy Singleterry is part 3 of the 4-part series, "Blueprints," and was given Sunday, April 22, 2018. The message by Pastor Stevie Nix is part 2 of the 4-part series, "Blueprints," and was given Sunday, April 15, 2018. The message by Pastor Troy Singleterry is part 1 of the 4-part series, "Blueprints," and was given Sunday, April 8, 2018. The message by Pastor Troy Singleterry is the message of Easter and was given Sunday, April 1, 2018. The message by Pastor Troy Singleterry is part 7 of the 7-part series, "The Great Contradiction," and was given Sunday, March 25, 2018. The message by Pastor Troy Singleterry is part 6 of the 7-part series, "The Great Contradiction," and was given Sunday, March 18, 2018. March 11, 2018 - "Blessed Are the Merciful"
When we are merciful, we will also be shown mercy. The message by Pastor Troy Singleterry is part 5 of the 7-part series, "The Great Contradiction," and was given Sunday, March 11, 2018. March 4, 2018 - "Keys to Overcoming the Droughts of Life"
Cultivate a hunger and thirst for what really matters. The message by Pastor Troy Singleterry is part 4 of the 7-part series, "The Great Contradiction," and was given Sunday, March 4, 2018. February 25, 2018 - "Cultivating Meekness"
How to understand and practice true biblical meekness. The message by Pastor Troy Singleterry is part 3 of the 7-part series, "The Great Contradiction," and was given Sunday, February 25, 2018. February 18, 2018 - "Blessed Are Those Who Mourn"
When you mourn, look for the comfort that only comes from God. The message by Pastor Richard Dresselhaus is part 2 of the 7-part series, "The Great Contradiction," and was given Sunday, February 18, 2018. February 11, 2018 - "Beyond on the White Picket Fence"
What does God do when life doesn't go as planned? The message by Sheri Rose Shepherd was given Sunday, February 11, 2018. February 4, 2018 - "Spiritual Poverty - One of the Keys to a Blessed Life"
When it comes to spiritual weatlh, less really is more. The message by Pastor Troy Singleterry is part 1 of the 7-part series, "The Great Contradiction," and was given Sunday, February 4, 2018. January 28, 2018 - "Investing Internally"
Dr. George Wood recounts the pivotal events that birthed in him the priceless value of missions. The message by Dr. George O. Wood, Superintendent of the Assemblies of God, is part 2 of City View's 2-week missions conference, "Every Tribe, Every Nation," and was given Sunday, January 28, 2018. January 21, 2018 - "The Father's Heart for Missions"
Dr. Ahlijah distills the biblical call to missions to one compelling, illuminating instruction. The message by Dr. Godwin Ahlijah of Ghana, Africa, is part 1 of City View's 2-week missions conference, "Every Tribe, Every Nation," and was given Sunday, January 21, 2018. January 14, 2018 - "How Bright Do You Want To Be?" "You are the light of the world," Jesus says. The brightness adjustment is up to us. The message by Pastor Troy Singleterry is part 2 of the 2-part series, "A Year of Influence," and was given Sunday, January 14, 2018. January 7, 2018 - "It Starts with Becoming Salt"
As we seek to influence our world, both individually and as a church, we must discover our inner salt. The message by Pastor Troy Singleterry is part 1 of the 2-part series, "A Year of Influence," and was given Sunday, January 7, 2018.